When hiker Dan Szczesny and his nine-year-old ward, Janelle, first set foot on the trail to Mt. Kearsarge in Nov. 2011, neither of them knew that this easy hike to one of the state’s most popular mountain tops would change both their lives. But what followed was a hiking odyssey that lasted over a year as the two hikers cross-crossed the state on their way to a 225-mile epic attempt to complete a little-known hiking list called The 52 With a View. Dan, the associate publisher of The Hippo, is a long-time journalist and writer. He’s a member of the AMC’s 4,000-footer club and has written extensively about the outdoors and hiking. Most recently, he spent a month in Nepal trekking to Everest Base Camp. 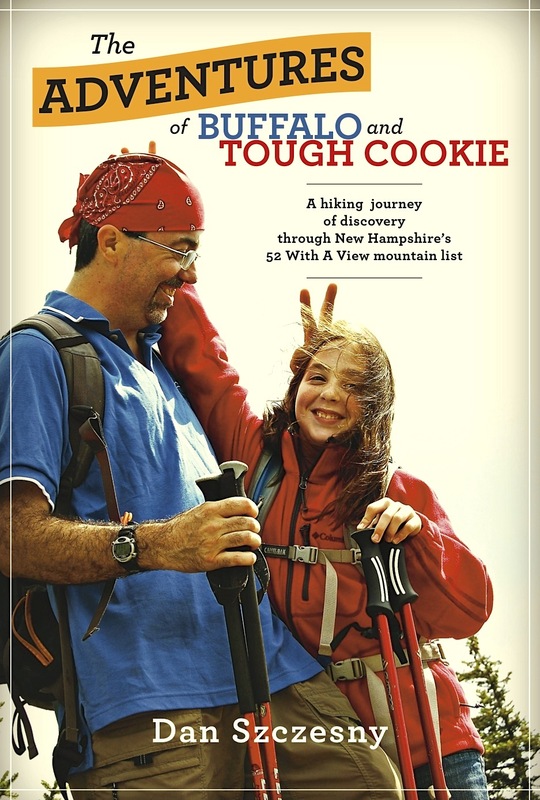 Dan is available for interviews through Bondcliff Books or by contacting him directly at danszczesny@gmail.com For more information about the book or the ongoing adventures of Buffalo and Tough Cookie, go to the book’s website at http://www.52withaview.com. Please subscribe to this site by email for posts and updates, and join Buffalo and Tough Cookie on their adventure. Fantastic, I’ll look for the book in May!